The Spaniard Rafael Nadal, seeded number one, returned to show his best tennis and reached for the fourth time the final of the United States Open by beating 4-6, 6-0, 6-3 and 6-2 to Argentine Juan Martín Del Potro, twenty-fourth seed. Nadal’s rival, who won the US Open in 2010 and 2013 in the final, will be South African Kevin Anderson, twenty-eighth seed, who in the first game of the semifinals won 4-6, 7- 5, 6-3 and 6-4 to Spanish Pablo Carreño, twelfth seed. Nadal’s duel with Anderson, 31, the world’s 32nd, will be the fifth game as professionals with a 4-0 lead for the Manacor tennis players in the previous four. Nadal will reach the final without having made an extra effort because he was always in control of the party that played against Del Potro, the fourteenth between both as professionals, with a mark of 9-5 in his favor, including the 5-5 on hard court. The Manacor player, who is looking for his second Grand Slam title so far this season, also won the Roland Garros and played the Australian Open final, only had problems in the initial set when Del Potro made his best serve and rest . But from the second the story was very different with a dominant Nadal in all his blows, remained impeccable before a Del Potro that began to fail and in just 27 minutes he finished without giving up a single game. Nadal continued sweeping in the third to make nine games in a row and that is the end of the game, although Del Potro tried to overcome it could not get before a champion of Roland Garros that remained with a winning stroke, gave cross volleys and left blows unanswered by part of the tennis player of Tandil. 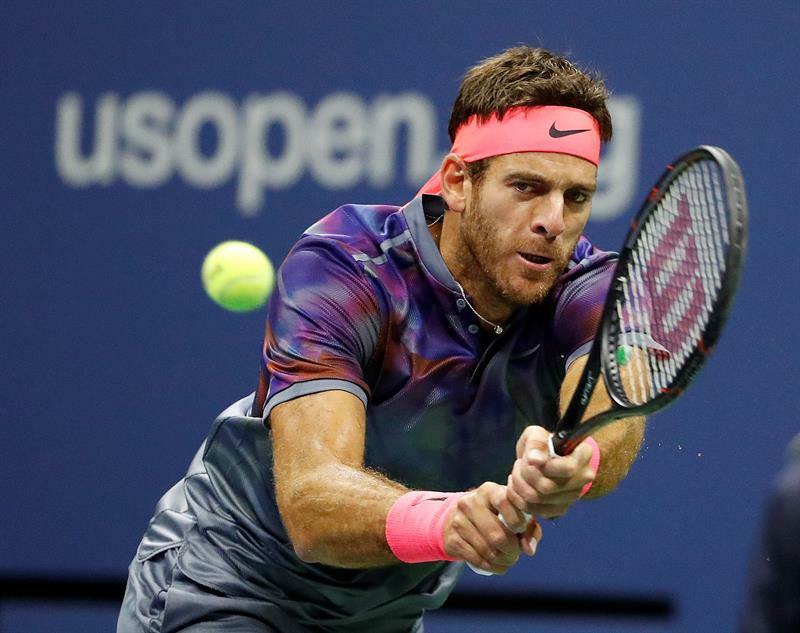 Del Potro, who had done the feat of going two sets to sixth seed Dominic Thiem of Austria and dominating Roger Federer, third seed, before Nadal could not get out of his bewilderment and somehow lived what he had foreseen . “I love to face Rafa (Nadal), but to win it I have to be in my best moment of play and that does not happen now,” said Del Potro on the eve of the semifinal duel that starred tonight at the central track Arthur Ashe, full of fans who returned to give their support, as well as Spanish. His fighting spirit and not giving up never let him start the fourth set confident that could start a new game and with his serve managed to break the winning streak of Nadal. But the Manacor player also had his plans to finish before the action and ensure the pass to the final, where regardless of the result he can get will remain as undisputed world number one in the ATP qualification. Del Potro won with his serve 0-1, Nadal did not dominate with his and in the third game, again the Argentine player loses the course and the whole game is champion the Spanish who makes the break again. There if Del Potro, 28, who won the Open in 2009, when precisely eliminated in the semifinals to Nadal, realizes that he has nothing to do either with his physique or with the blows to break the tennis player’s magic of Manacor, who after two hours and 30 minutes raised his arms to celebrate another great triumph of a dream season. Nadal finished the game with 5 straight saves and a pair of double faults, compared to 7 and 4, respectively, of Del Potro who committed 40 unforced errors by only 23 winning strokes. The opposite of Nadal, after making 6 “breaks” of 13 opportunities, and yielding the serve only once of two, placed 45 winning strokes and just 20 unforced errors, which allowed him to conclude the match with 109 so many won by 76 of Del Potro. On Sunday, on the same stage as Arhtur Ashe, 31-year-old Nadal will look to make a comeback with a win that will allow him to win the 16th Grand Slam title and top the American all-time list Pete Sampras with whom he is now tied. Only Roger Federer, who has 19 Grand Slama titles and is the leader of all time beats them.